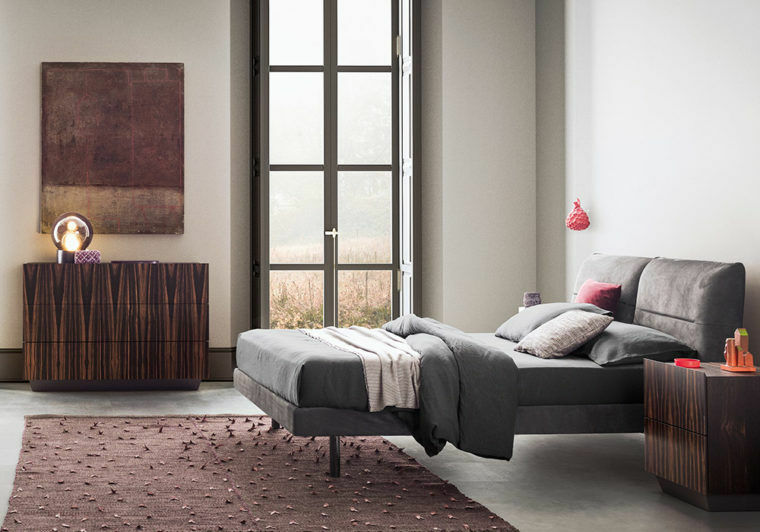 Sophisticated and unconventional just like the set of sideboards bearing the same name, the new TOSCA bedroom furniture confirms attention to refined detail. Sturdy volumes and textured contrasts convey solid, appealing beauty. 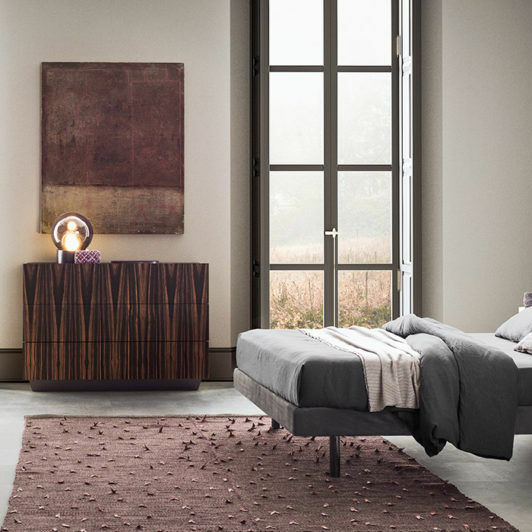 The drawers are punctuated by large, projecting fronts. The 45° inclination of these panels makes it easy to open each single drawer, revealing an interior finish that can match or contrast with the outside. 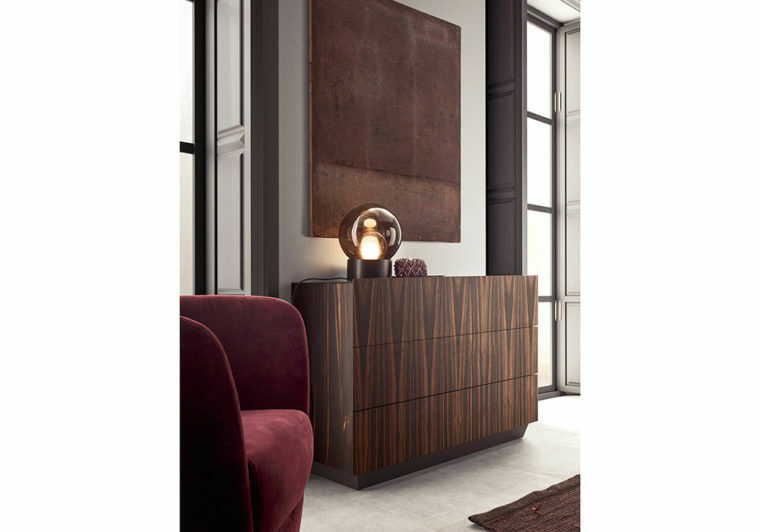 The range of available finishes is really extensive and includes exotic rosewood and ebony. The base is available in gold, bronze or titanium as well as in the gloss and matt lacquer colours of the PIANCA collection. Tall and tapered, the base supports the structure and complements the overall design with its bold and distinctive character.